The Home of Real Hill Country Cattle. We are proud to breed and supply Herefords that are bred to perform in the commercial environment. … time is ticking down until Tuesday 4th of June 2019, Auction starts at 12 noon. BBQ afterwards. First Red Lord 3012 Bulls for sale. Self Contained Accommodation is available. Please contact otapawa@xtra.co.nz for enquiries. Our focus at Otapawa is to breed efficient Poll Herefords that have good conformation, high maternal ability, structurally sound and that can deliver high performance on our hill country. 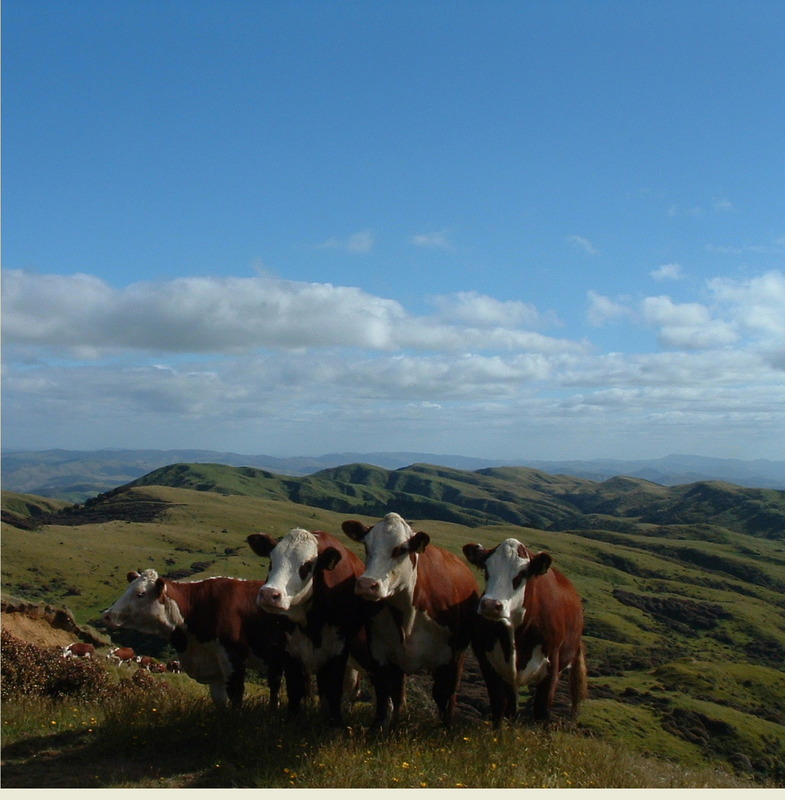 Our herd consists of 220 breeding females that are farmed on medium to steep hill country that rises to 2000ft on the foothills of the Puketoi Ranges. Due to the properties locality and contour, our cattle are bred to perform especially throughout the cold harsh winters that we experience. Our cattle are pasture run all year round. (not housed). We are a grass based feeding system year round. We run our stud cattle in a completely commercial environment, competing with 17,000 ewes, and 1200 commercial cattle. Our cattle are grass fed, with pasture hay and silage supplements fed during winter. 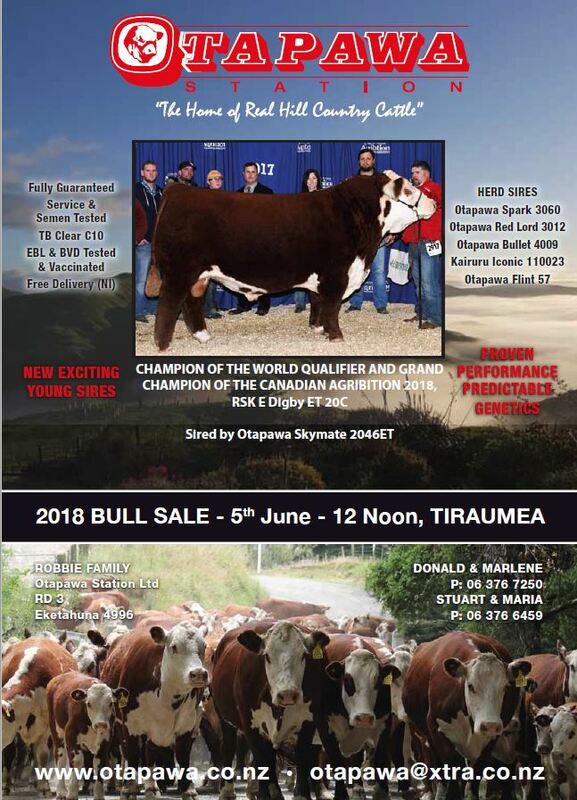 Our bull sale is held on property on the first Tuesday of June each year. We offer around 30 to 40 bulls for Auction. Selection of superior sires has always been paramount within our breeding programme. Proven genetics equals predictable performance. Please do not hesitate to contact us if you require any further information at any time. Please feel free to browse our web site for more information relating to our operation. Otapawa also run Perendale and Poll Dorset Sheep Studs. Our principles are the same, sound, easy care, prolific, and profitable, and a continual drive to improve.